WASHINGTON—A delayed top-level diplomatic and security dialogue between the United States and China will be held in Washington on Nov. 9, but experts doubt that it will be productive. After a telephone conversation between President Donald Trump and Chinese leader Xi Jinping on Nov. 1, the U.S. Department of State announced Nov. 5 that Secretary of State Michael R. Pompeo and Secretary of Defense Gen. Jim Mattis will host Chinese foreign affairs official Yang Jiechi and Chinese Minister of National Defense Wei Fenghe at the dialogue. “The world today faces many major problems that require close cooperation between China and the United States. Before the phone call between Trump and Xi, China observers noticed a subtle change in the tone of China’s state-run media when discussing the trade war with the United States. As late as June, Xi reportedly said that China would retaliate against the United States with “an eye for an eye, a tooth for a tooth” approach, when he met with a group of mostly U.S. and European multinational CEOs in China. Economic analyst Qin Peng sees China’s change of tone and attitude as a reflection of an economy that is deeply troubled from the trade war. Qin said that during a recent private meeting with several friends from China, he experienced firsthand their deeply pessimistic mood. One of the friends runs a high-end company that specializes in training entrepreneurs; another friend is a former senior vice general manager of one of the four biggest financial-management groups in China. 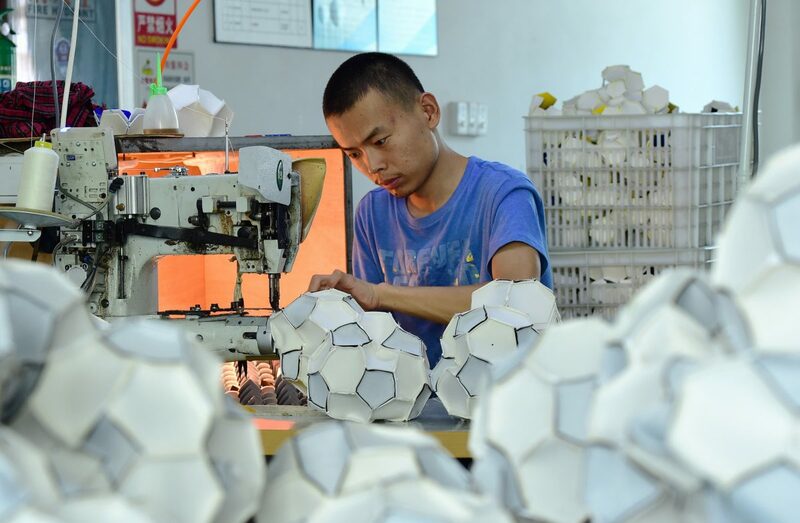 Qin said these friends told him that they felt China’s economy was going to collapse soon, and private enterprises have no heart to continue running their businesses. According to internal channels, they said, GDP growth is only 4 percent, and not 5.5 percent, as reported by some Western media. 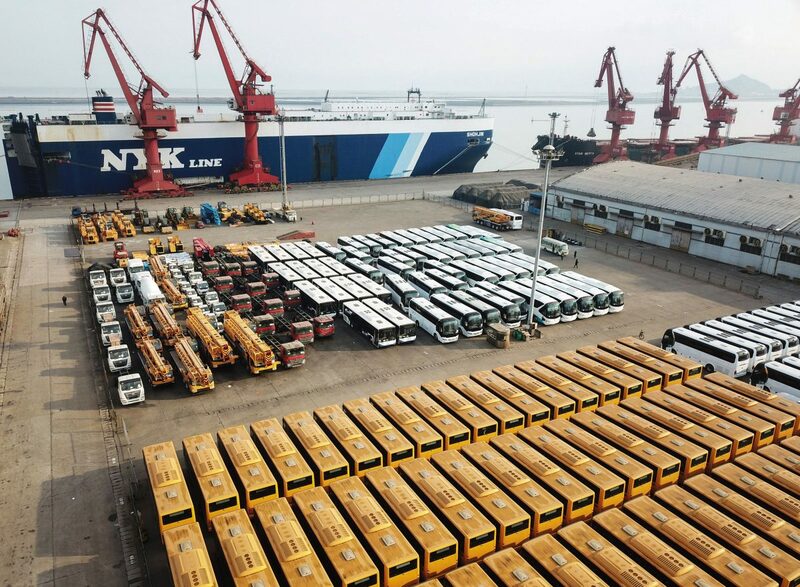 A low-level Chinese Communist Party (CCP) member from Yiwu City, Zhejiang Province, also recently told The Epoch Times that in his city, many private export businesses have encountered huge problems. And he expected that the economy will collapse as early as next year. At the autumn meeting of the ruling Politburo on Oct. 31, the Communist Party officially admitted that China’s economy is experiencing growing downward pressure. It was the first time that the Chinese leadership publicly acknowledged China’s economic slowdown since the trade war began. Several policy changes were announced during the meeting, including re-stimulating the capital market and helping private enterprises to overcome their difficulties. Equally noticeable was that the topics of regulating the real estate market and deleveraging—paying off debt—were no longer mentioned. Qin believes that all these are signs indicating that the Chinese economy is in huge trouble and that time isn’t on the side of the communist regime. That’s why Beijing is very much worried now, he says. Frank Tian Xie, a China expert and business professor at University of South Carolina–Aiken, doesn’t believe that a dialogue under the current state of bilateral relations between the United States and China can be productive, since the Trump administration and the communist regime stand so far apart. “In fact, they are simply opposites of each other,” Xie said. “The relationship between Trump and Xi and the tone they set up in 2017 are long gone, period. 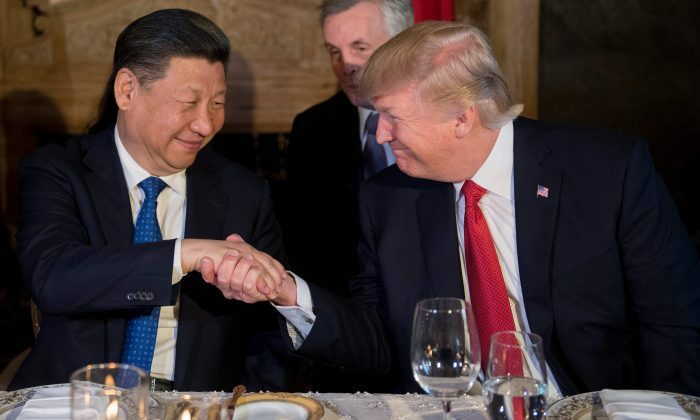 Xie believes the only chance of Xi reversing his stand and giving in to Trump’s demands is during the G-20 event in Buenos Aires later this month. Chinese netizens have been joking about “Trump putting Xi under ‘shuanggui’” ever since the news about Trump and Xi’s upcoming meeting during the G20 was announced. As some Chinese netizens see it, the nature of Trump and Xi’s upcoming meeting is precisely like that of “Shuanggui,” as Xi has to make “some confessions [or concessions]” to Trump “at a designated time at a designated place,” which is the G20 summit. Qin agrees that it is very hard to resolve the fundamental problems between the United States and China. “The root cause for the fundamental differences between the U.S. and China is the huge state-owned enterprise (SOE) system, which the communist regime views as the foundation of its rule,” he said. Qin thinks that Beijing might choose to make some concessions regarding trade, tariffs, and market access to ease the current tension. However, the powerful families who virtually control the SOEs haven’t been hurt very badly by Trump’s current approaches, such as tariffs and sanctions against individual military personnel and tech companies. Qin hopes that Trump will “never back down, never give up” when dealing with the communist regime, as he often vows during his rallies regarding his agenda.